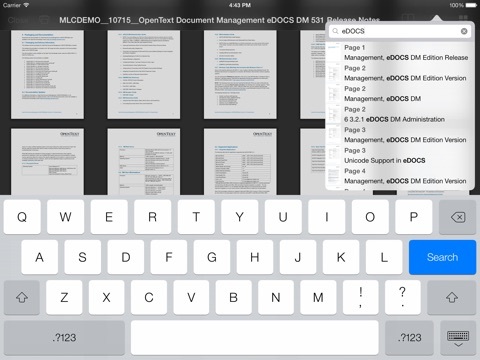 The WirelessDMS iOS Client is an eDOCS DM client from Matrix Logic. 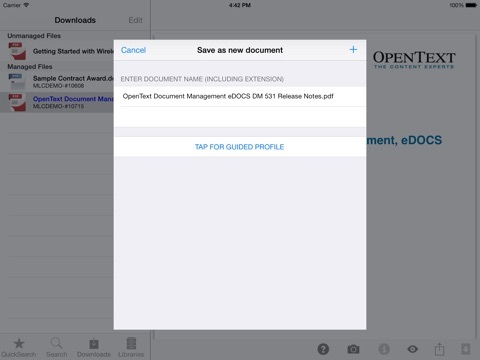 Access your Open Text eDOCS DM document management system from your iOS device. *** This application is designed as an add-on to an Open Text eDOCS DM system (formerly Hummingbird DM). If you don't have this document management system, do not download this application. This application connects to a lightweight WirelessDMS Device Server application on your server via a mobile network or a WiFi connection. Communications can be via http or https. WirelessDMS is very efficient with network communication, providing a fast and economical solution. - Access your Recent Edits, Quicksearches and issue content or profile searches. - Documents can be emailed as an attachment or a reference or viewed on the device. - Full contacts/mail integration on the device. 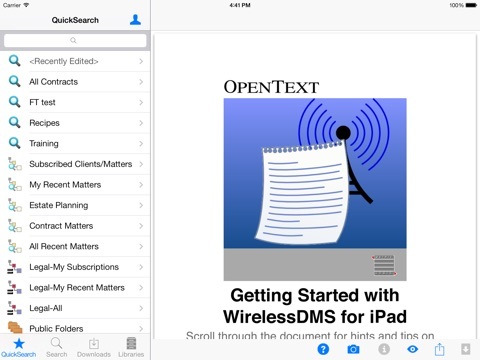 WirelessDMS iOS Client is part of the WirelessDMS Suite. - Built in Enhanced PDF viewer supports filling in forms and saving to eDOCS as new documents or versions. 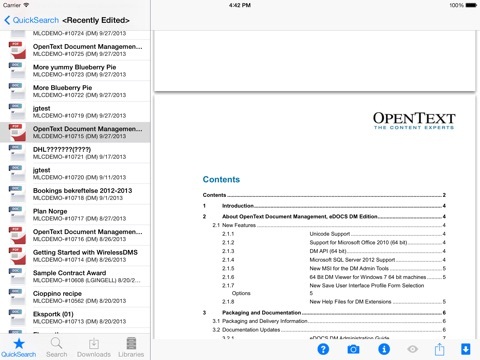 - (iPad) Right hand preview pane now shows PDF annotations.